The Smithsonian Museum is an ever changing collection of artifacts from recent and ancient history. Their exhibitions change on a regular basis and there are always new things to see and explore here. These are aimed at kids and adults alike, with interactive experiments and art to view. Those who enjoy learning about ancient history should check in at the Heart of an Empire exhibition at the Freer Gallery of Art. This boasts images of the discovery of Pasargadae, which was the seat of power for the Persian Empire. It was discovered in 1905 by researcher Ernst Herzfeld, who wrote numerous papers on the culture and artifacts that he found there. The industrial revolution was a major turning point in American history, in which machinery changed the face of industry. The Power Machinery exhibition, located at the National Museum of American History, shows how the attempts to create early agricultural planting shifted throughout the years. This goes from steam power to water powered machinery before turning to the combustion engine. To discover how trades and life changed throughout seafaring years, the Norie Atlas and the Guano Trade exhibition, located at the Smithsonian Museum of American History, does exactly that. The Norie Atlas is one of the oldest of its kind and it’s fully illustrated with the routes that traders would have used. It offers a glimpse into just how hard and dangerous it was to transport goods in the 19th century. There are a number of objects from the time within the exhibition that bring the subject to life for all visitors. Towards the end of the month, the No Mountains in the Way photo exhibition, will open at the Smithsonian American Art Museum. This black and white photo exhibition contains 120 pictures of the great American landscape and will become a permanent fixture in the museum. These pictures were taken during the Great Depression and aimed to show the dust and dryness that covered once lush fields. These are some of the most iconic images of the time and serve to show the changes in recent American history. A New Moon Rises, located at the Smithsonian Air and Space Museum, is another photo exhibition, but this one takes place far from the American landscape. These images come from the Lunar Reconnaissance Orbiter Camera, which takes stunning pictures of the moon and Earth. These high quality photographs are totally unique and show views of these celestial bodies in motion. There are 61 pictures within the exhibition that any fans of space exploration will enjoy. They come from NASA and document lunar landmarks at which astronauts landed in the Apollo missions, which are a huge piece of American history and engineering. 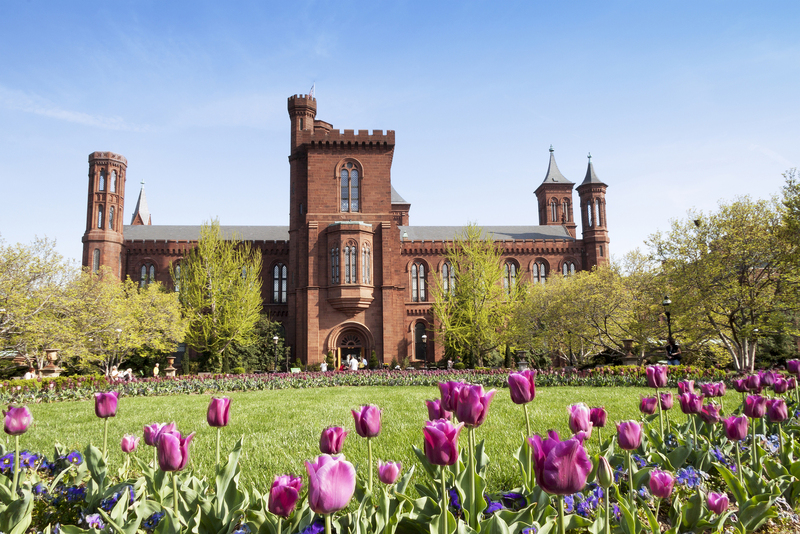 If you would like to see all of the DC hot spots including the Smithsonian Museums, make sure take Gray Line DC’s Two Day Washington DC Grand Tour on a Sunday during your stay here in the Nation’s Capital.